While professional panels focus on detecting defects, the rest of us can focus on the fun part -appreciating the multitude of positive nuances in extra virgin olive oils! 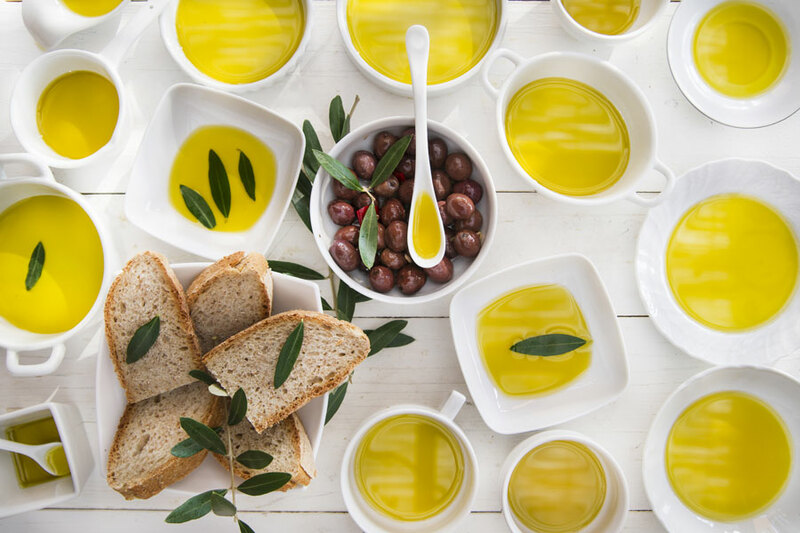 Anyone can practice olive oil tasting, even a simple comparison at home or with a group of fellow EVOO-appreciators (like wine, group tasting gives you more variety at a lower out-of-pocket cost!) Groups can also help you learn more quickly, as easily-named flavors will be reinforced while some individuals will inevitably pick up notes others missed on the first pass. Consider both the aromas and the flavor sensations of each oil. Color is not an indication of quality, although it can influence a taster’s perception. Professionals use blue-tinted glasses to remove any bias based on color. Remove your hand from the top of the glass and put your nose up close, inhaling to catch the aromas. Think about what you smell – is it green, ripe, earthy, mature, fruity? If you'd like, jot down your initial perceptions so you can refer back to them as you compare oils. Now taste! Sip enough oil to hold in your mouth and let the flavors cover your tongue. Make some noise by slowly sucking in some air, which will help release the flavors in the oil. Close your mouth and breathe out through your nose to increase the perceptions. What notes do you catch – Apple? Tomato? Herbs? Citrus? Nuts? This video demonstrates the process too. Once you’ve had your fill of EVOO shots, have some real fun by working on pairing different oils with different foods. You’ll be amazed at the variety and results!